“I was travelling some years ago in Costa Rica. 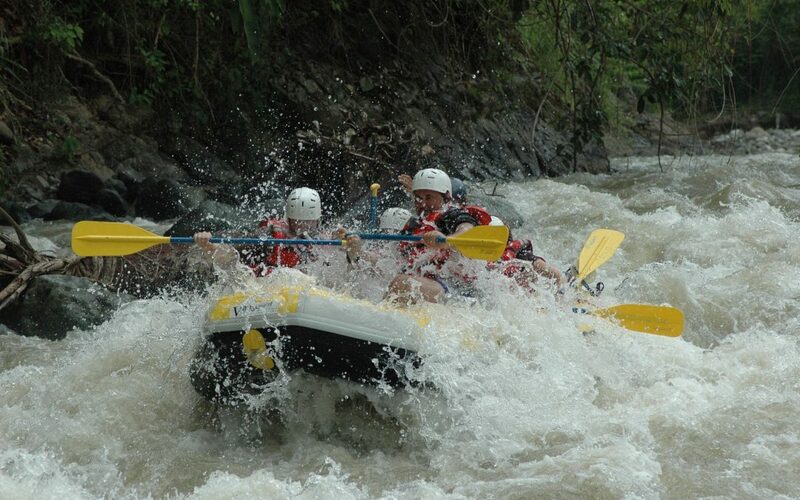 My travelling companions and I decided to go white-water rafting on the Pacuare River. For those who know this sport, the Pacuare is a Class IV river. It was spectacular—breathtaking—almost surreal in its beauty. After floating peacefully along for some time, at one point, several of us decided to jump into the water for a swim. It was warm! Delighted, we swam back and forth for a time. Pretty quickly, however, the current was getting stronger, the water more turbulent, than we had anticipated when sitting in the boat. The Pacuare was gurgling in white-water. The boat’s captain was yelling at us—we could see his facial expression and his waving hands directing us to come back, but we couldn’t hear him given the turbulence of the river. And the current was strong enough that it held us back from being able to get back to the boat. After about 10 minutes of floating downstream, we suddenly saw large boulders up ahead, right in the middle of the river. They did not look inviting. Several of my swimming team members panicked, struggling frantically to avoid running into the rocks. Others of us after a short struggle with the river somehow got the message that the river was more powerful than we were and that fighting it was completely futile, so we let go into the flow of the river, allowing it to carry us. This definitely took some courage, putting ourselves in the hands of this mighty river. Amazingly, those who did not fight the river found that they could maneuver in the current with slight hand and arm motions, easily being carried around the rocks, while our less lucky team members who fought the river went directly into the rocks. Lesson: if you are present and see the forces around you, sometimes rather than fighting them, you can work with them to get where you want to go.